Meet Bruce Blakemore, a struggling young Geordie tech-head and the unlikeliest international criminal mastermind you can imagine. From his base in Whitley Bay, Bruce and his Nan will find themselves sucked into an Underworld Wide Web of new-age pirates, local gangsters and tea-cosies. 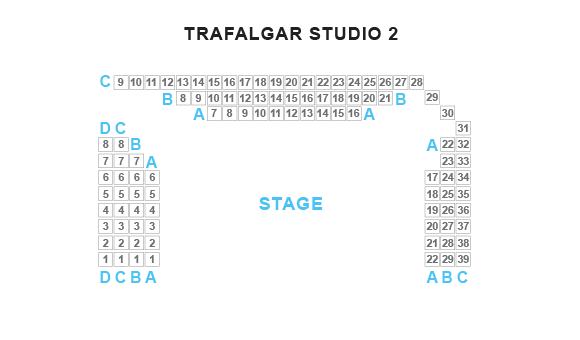 Join a host of unforgettable characters in this 5-star ‘rollercoaster of emotion’ (Broadway World) pitch-black comedy for the Bitcoin generation which ‘captures the sinister beauty of the anarchic dark web’ (West End Wilma) Inspired by interviews with real online drug vendors, Alex Oates (BBC3, Eastenders E20, Old Vic New Voices) has written an urgent new piece about the freedoms and dangers of an unrestricted 'Dark-Web'. 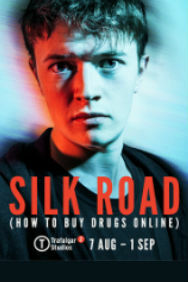 Following critically acclaimed performances at the Vaults and making history in 2014 as the first show ever funded by the cryptocurrency Bitcoin, Silk Road stars Josh Barrow and is directed by Dominic Shaw.